Emergency Protection When You Need It. 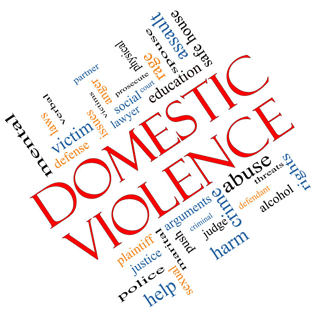 Domestic violence is the willful intimidation, physical assault, battery, sexual assault, or other abusive behavior perpetrated by one partner against another, or to a child. It includes physical, sexual, psychological violence, and emotional abuse. We understand regardless of whether the abuse was verbal, emotional or physical, it’s an attempt at control and manipulation. Domestic violence is an epidemic that can affect anyone regardless of age, economic status, sexual orientation, race, religion or nationality. Its consequences are devastating and can last a lifetime. That’s why at Heritage Family Law, we believe swift action is needed to protect our clients who have become victims of domestic violence. Children, who are often the most vulnerable, need our decisive and aggressive advocacy and as a result, get our full and immediate attention. Our staff has had training in the causes, and the cycle of violence and can help connect you to support groups and resources after we’ve made sure you are safe. On the other hand, we have also seen the damage that can be done through false accusations. Nothing is more upsetting than when a partner accuses another of domestic violence in order to gain control of children, take possession of property, or to manipulate and control the divorce process. Once someone has been convicted of domestic violence, every part of their life is affected: there are jobs no longer available to them, gun rights are lost, custody of children comes into question and jail time may even be required. If you’ve been falsely accused of domestic violence, you, more than anyone, need aggressive, strategic representation. Call us today, before it’s too late. "They were all very nice and efficient. I was never left hanging, and everything was completed in a timely manner with great communication! They were always ready to answer questions or assurance. I highly recommend their firm!"